At the Apr-4th, first session, Badger Bonsai Society Co-President will be lecturing and showing images about bonsai and will bring a tree to demonstrate the whole process of creating a bonsai from common nursery stock. 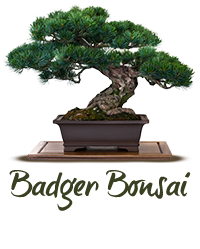 Participants need not bring anything to the first meeting – they certainly can, if they wish – but, we will save the last two class sessions to have participants actually creating a bonsai. We will go over what tools, plant species, pots, etc. participants should bring to the next two sessions. Session 2 (Apr-18th) and Session 3 (Apr-25th), will both also be at Klein’s Floral and Greenhouses, from 6pm to 8:30pm. At these two sessions: Participants will bring supplies (tools, pots, plants, …) to create their own bonsai … these details will be discussed in session 1 (Apr-4th). Full details can be found in this PDF attachment (requires a PDF-viewer). This link will open a new browser session (or tab) showing the location of Klein’s Floral and Greenhouses in Google Maps. If you plan to attend this 1st session, we ask that you complete this contact form, indicating in the comment section that you will be attending the Apr-4th session, and how many people you will bring if more than just yourself. We will not share your email information, unless you indicate that you want to be added to the BBS mailing list. Please submit this information by Wednesday Apr-3rd at 4pm so we can plan accordingly for seating and handouts for session 1. The BBS is grateful to the assistance of Kathryn at Klein’s Floral and Greenhouses in helping to coordinate and for hosting these events. Drummond’s Red Maple Grove Planting (photo courtesy of the National Bonsai Foundation); gift of Vaughn L. Banting in 1990.
planting a maple grove … if planning to do so at meeting, BBS has 100 red maple trees for this meeting (details in newsletter); bring your soil, tools and pot(s) … see the above image for motivation! Though still in process of being finalized, the current listing of BBS meetings and planned activities for 2019 can be found on the Meetings and Events page. Note that “red-formatted” items are still being finalized, but will be updated as soon as finalized. 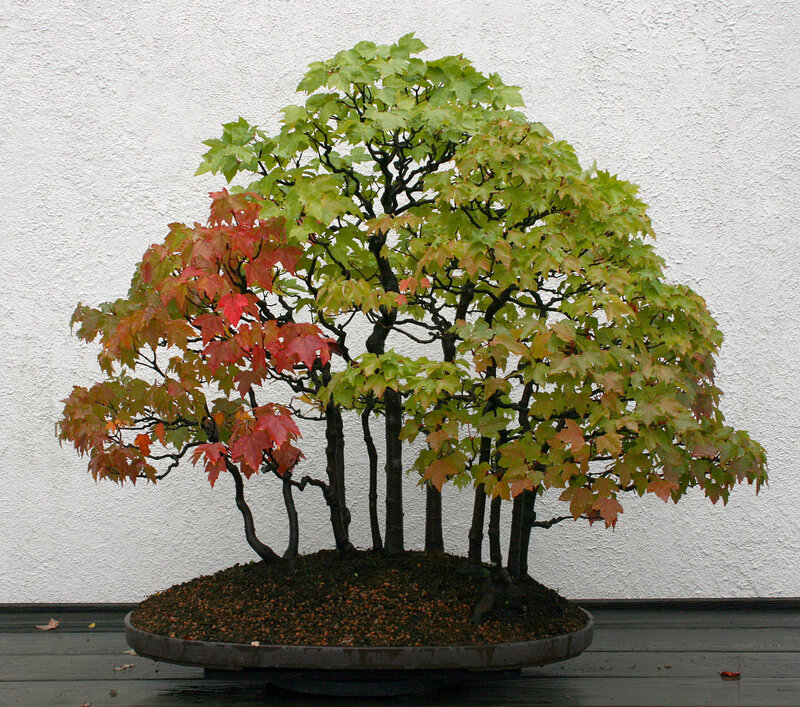 Details on Apr-2019 Bonsai Course added Mar-31st. I have received some older “snail-mailed” newsletters from “longer-duration” BBS members, and am in the process of scanning, cleaning up, redacting (removing personal information) and uploading to the Archives / Monthly Newsletter list. For example, the first one prepared from a hardcopy is from Jan-2009. There is a lot of valuable and information contained in these documents, and uploading to our website will allow us to share this information with all members and visitors to our website. Eventually, I also hope to add some brief summary statements and setup searching terms for each newsletter to make it easier to find relevant information. If you should happen to have any old newsletters, whether hard copy or electronic, please drop me an email (members reference your monthly newsletter distribution for my email) as to what month and year you have. DO NOT send to me without asking first, as I might already have those. In general, if there is not a month-year entry in the Archive / Monthly Newsletter list, I do not have the hardcopy or file yet. If the entry is noted as scanned from hardcopy, and you have a better looking version, or even an electronic version … please let me know so I can upgrade to the best quality available. Also remember … your membership dues are due !